Charities and other non-profit organisations are missing out on online donations because they are not explaining clearly enough to visitors their aims and how they intend to use the money when they receive it. Nielsen has been carrying out user testing of 23 non-profit websites in the US, giving users the task of choosing recipients by comparing a couple of sites in similar categories e.g. American Red Cross and Habitat for Humanity, and actually making a donation. 53% of donation killers related to poor content, unclear writing, missing information etc, which meant that users couldn’t find out about the aims of charities and how their money would be used. sites, testers couldn’t find out where to donate. This seems a very basic error to make, especially as some visitors will arrive at the site, perhaps having just seen a TV advert, with the intention of donating. A nice clear button / link to the donation page is what’s needed. Most of the UK charity sites I looked at managed to make the donate option clear enough, though it was harder to find on some than others. For example, on Scope, though the ‘donate now’ link is in red, it is in small text, and not as prominent as some of the other menu options on the page. Some charity sites could perhaps learn from e-commerce best practice and make donate links more visible. While the study found a few issues with the payment process, especially when third party payment providers were involved, the main issue was content usability, and the fact that charity websites failed to explain what they do and where the money goes. This means that some non-profit websites can increase the money they receive from the public with some simple changes. While the industry continues to wrestle with the logistics of opting-in to consumer behavioral targeting, a Harvard University researcher has developed a way to opt-out. Christopher Soghoian, a fellow at the Berkman Center for Internet and Society at Harvard Law School, told The Harvard Crimson that he has developed a browser extension that prevents advertising networks from tracking internet usage habits. The Google plug-in, entitled Targeted Advertising Cookie Opt-Out (TACO), allows users to opt out of 27 advertising networks. 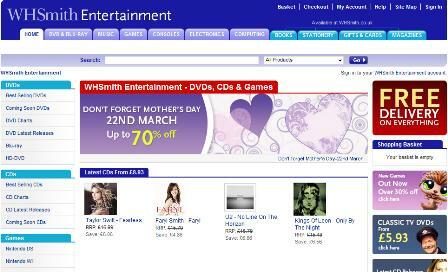 WHSmith last week launched a stand-alone website, selling DVDs and CDs, as well as its range of electronics and computing online, leaving everything else to be sold on WHSmith.co.uk. 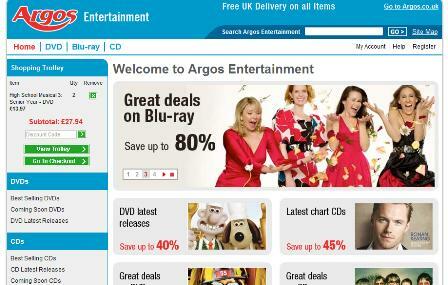 The move also reflects the retailer’s strategy of reducing its presence in entertainment offline. Sales in this category had fallen by 18% in the year to July 2008 and it has been removing such products from its stores.